The Hottest Looks From The Oscars Red Carpet with Zendaya in Giambattista Valli, Taraji P Henson in Vera Wang, Lupita Nyong’o in Atelier Versace, and More! On the Scene: The 2017 American Music Awards with Viola Davis in Custom Michael Kors Collection, Ciara in Alexandre Vauthier, Kelly Rowland in Galia Lahav, and More! On the Scene: The 69th Annual Primetime Emmy Awards with Gabrielle Union in Zuhair Murad, Leslie Jones in Custom Christian Siriano, Zoe Kravitz in Dior Couture, and More! On the Scene: The 2017 Summer TCA Tour Disney ABC Party with Tracee Ellis Ross in Celine, Viola Davis, Lea Michele in Cushnie et Ochs, and More! On the Scene: The TIME 100 Gala with Viola Davis in Armani, Ashley Graham in Cami NYC and Fleur du Mal, Naomi Campbell in Alaia, and More! On the Scene: The 2017 Vanity Fair Oscar Party with Naomie Harris in Calvin Klein By Appointment, Gabrielle Union in Jean Paul Gaultier Couture, Tracee Ellis Ross in Zuhair Murad, and More! On the Scene: The 89th Annual Academy Awards with Viola Davis in Armani Privé, Ava DuVernay in Ashi Studio Couture, Taraji P. Henson in Alberta Ferretti, and More! 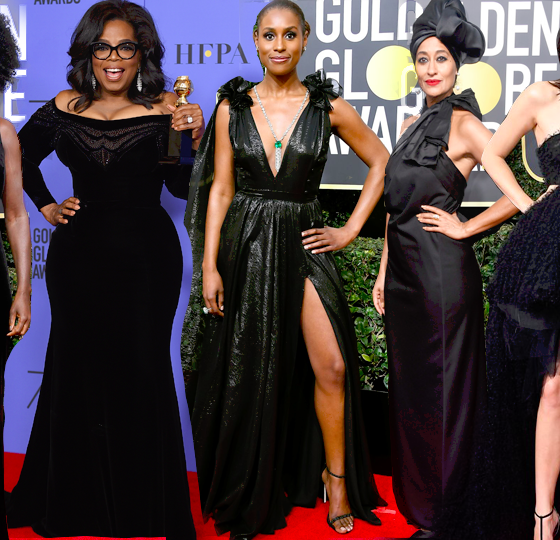 Look of the Week featuring Katy Perry in Adam Selman, Tracee Ellis Ross in Lethicia Bronstein, Viola Davis in Christian Siriano and More!